If you’re wondering how to lighten skin naturally, you might want to check your kitchen. Mother Nature’s provided a range of delicious, nutritious foods that double duty as all natural skin lighteners. The best part? They’re all totally safe, good to enough to eat, and come with a range of other benefits for your skin as well. Try mixing and matching the foods below to whip up yummy, all-natural skin lightening face masks! You already know yogurt’s a super nutritious food packed with calcium, protein, and an array of vitamins and essential nutrients. But did know that it also makes a mean, all-natural whitening face mask? You see, yogurt’s a rich, natural source of lactic acid, an alpha hydroxy acid (AHA), which not only helps lighten skin but also double duties as an anti-aging ninja to prevent fine lines, wrinkles and the effects of sun damage. And that’s not all – the live cultures that make yogurt so beneficial for your digestive tract are also antimicrobial, protective and highly soothing on inflamed, blemish-prone skin. Just make sure you get plain, unflavored yogurt, preferably sugar-free. How to use it? Mix it with a few of the skin lightening foods below for an instant face mask. The same component in lemons that makes you pucker up is also responsible for the lemon’s skin bleaching benefits. Yes, we’re talking about citric acid, another alpha hydroxy acid (AHA) and natural antioxidant that helps lighten skin, tighten pores, and slough off dead skin cells and speed new cell turnover. Combine that with the lemon’s high vitamin C content and it’s obvious why lemon has been used as a natural hair and skin bleach since the beginning of…well, lemon trees. How to use it? Citric acid is an astringent and can be drying to the skin so mix the lemon juice with something more soothing like yogurt. If you want to experience an immediate skin lightening effect – and get rid of oily skin in the process – a potato mask should be at the top of your list. The starchy, humble potato has natural bleaching properties thanks to an enzyme called cetacholase, as well as a high vitamin C content. And it’s deeply, refreshing hydrating as well. How to use it? Use a small-holed grater to grate half a medium-sized potato, mix with yogurt and a powder (like rice, gram, or orange peel powder) and apply to your skin before the potato oxidizes (turns brown). Rice powder – and rice water (the milky, opaque water that’s left after washing rice) has been used as a natural skin lightener in Asia for ages, resulting in a ton of anecdotal reports on how rice powder and rice water lead to lighter skin. But how does it actually work? Applied topically, rice powder has been shown to inhibit tyrosinase, an enzyme involved in the formation of melanin pigments. Rice powder is also a brilliant exfoliator when applied to the skin and is a great, natural way to speed up cell turnover and get rid of dark spots on the skin. How to use it? Use the water leftover after washing your rice to clean your face with – don’t rinse it off and let air dry. You can also mix the rice water – or regular water, lemon juice, or yogurt – with rice powder to create an exfoliating face mask. Ever wonder why papaya is in so many exfoliation and skin whitening products? It’s all about the enzymes, baby. Papaya contains papain, a natural exfoliating enzyme that eliminates and promotes skin renewal. It naturally exfoliates the skin to reveal newer cells and is rich in antioxidants – vitamins A, C, and E – that help heal and protect the skin. Result? 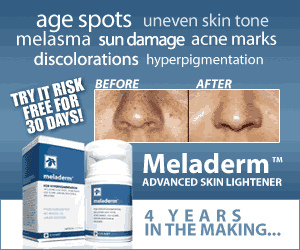 Gets rid of dark spots. As for figs, they’re lesser known for their exfoliation prowess, but they’re a lot more powerful – the ficin enzyme found in figs are believed to be 20 times more powerful than papaya’s papain. And pineapple? It’s got bromelain, another potent exfoliating enzyme that will clean deep into your pores and stimulate cell renewal to eliminate uneven pigmentation and brown spots. How to use it? For a simple face mask, blend any – or all – of the above fruits in a blender for an instant face mask. This spicy, yellow rhizome is a staple Indian spice that has been used to lighten skin for thousands of years. The thing that gives turmeric its spice – curcumin – is also responsible for its skin lightening benefits. Specifically, one of the naturally occurring chemical in turmeric’s curcumin is called tetrahydrocurcumin and its a stronger antioxidant than two other effective, natural ingredients used to lighten skin: kojic acid and vitamin C.
Studies also showed that a solution of 1/4% tetrahydrocurcumin proved just as effective at skin lightening as one with 4% hydroquinone – without the risks or side effects. Even more interestingly, another study also found that turmeric can actually prevent the formation of melanin (the cause for darkening skin). Not bad for such a yummy spice, we say. How to use it? Grab some organic turmeric powder and mix it up with yogurt for a simple, effective skin lightening mask. Oh, did we mention turmeric’s also awesome for acne and wrinkles as well? Another wonderfully spicy rhizome, ginger is not as well known for its skin whitening benefits, but that’s bound to change soon. Ginger’s been named as an effective home remedy for hyperpigmentation and dark spots and a recent study shows why: ginger’s gingerol effectively suppresses intracellular tyrosinase (an enzyme involved in melanin production) and decreases the amount of melanin. On top of skin lightening, ginger is also highly anti-inflammatory and shown to even inhibit and kill tumor cells. Not to mention it makes a fantastic tea. How to use it? You can grate raw ginger and mix it with yogurt for a natural face mask, but if you want an easier mask: go for the ginger powder or a ginger extract. We just have to say…there are a lot of articles out there claiming a whole bunch of foods have skin lightening effects. For example, aloe vera – this lovely plant is super soothing, anti-inflammatory, highly nutritious (contains over 75 nutrients, 20 minerals, 12 vitamins, 18 amino acids, and 200 active enzymes), and effective at enhancing cell renewal, which can help fade dark spots. But it’s not much effective for lightening the skin. Same with almonds – this claim that almonds have a “bleaching effect” on skin probably started when one person confused bitter almonds for almonds – since it’s bitter almonds that contains mandelic acid, an AHA with skin lightening benefits. As for the regular almond we all know and love? It makes a good scrub, but that’s about it. Now, there’s nothing wrong with putting a bunch of yummy foods on your face. But as far as skin lightening foods go, the above list is the best.